Designed to help players develop their fundamentals and get the most out of tennis, the Youth Progression system rewards kids for competiting and inspires them to play more often. The Youth Progression serves as a guide for coaches, parents and players to ensure that kids ages 7-10 participate in events using the appropriate ball for their skill level. Now that balls and courts are tailored to a player's skill level, children can improve and have fun right from the start. Kids will be able to track progress on their Player Progression Page. The more they play, and the more they improve their skills and clear each level, the more stars and trophies they accumulate. The system tracks a child's progress through participation in Play Days, Junior Team Tennis for Kids, tournaments, trainings and special events. Kids are encouraged to complete each "mission" by collecting participation stars and trophies based on their results. To clear a specific level, players have to reach a minimum of 1000 points that are achived through a combination of stars and/or trophies. 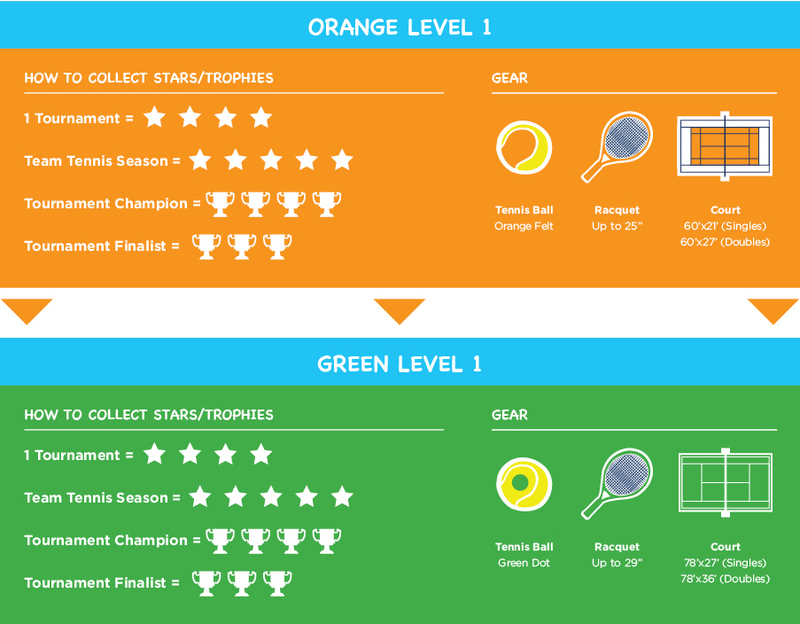 Stars and trophies will only be awarded for participation in the newest ball color and level. ADVERTISEMENT However, players can always participate in their previous ball color and level for more practice. Youth Progression players can only play in the same level or one level below. The minimum age to start playing orange ball "progression-tagged" tournaments is 7 years old. On the first day of a player's 11th birthday month, they will automatically advance out of the Youth Progression System. For questions or more information, please contact Mimi Kennell, Director of Junior Tennis, at 808.585.9533 or kennell@hawaii.usta.com.